This disc is the second of three volumes offering an anthology of the eight Books of madrigals by Monteverdi, interpreted by Les Arts Florissants directed by Paul Agnew. 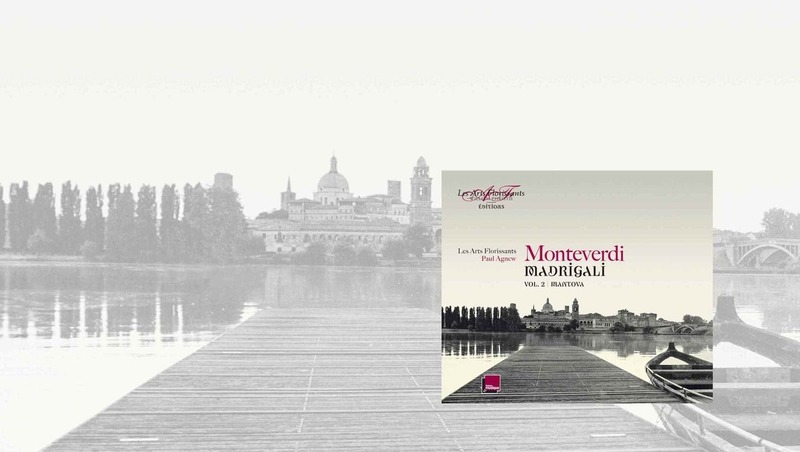 Three discs forming an anthology of Monteverdi’s madrigals are about to be released. Each volume will be associated to one of the cities that have marked out the composer’s career: the first opus dedicated to Mantova (extracts of Books IV, V, VI) will be followed by two others, dedicated to Cremone (in April 2015 – Books I, II, III) and Venice (in February 2016 – Books VII and VIII). This box set includes a specially commissioned text by René de Ceccatty : « La Sibylle ou la fresque des illusions ». Paul Agnew presents the CD Monteverdi Madrigali, vol. 2 "Mantova"
To accompany the release of the CD Monteverdi Madrigali (vol. 2: Mantova), Paul Agnew recorded five bonus videos that bring a better understanding of Les Arts Florissants’ project to play and record all of Monteverdi’s madrigals.